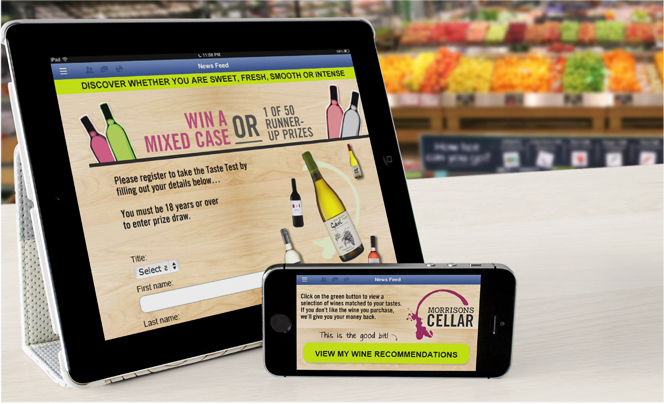 Morrisons wanted to create an online campaign that helped educate their existing customers about the broad range of wines they had on offer. 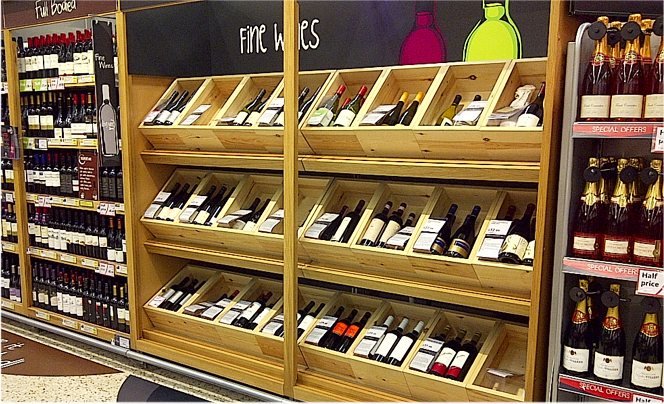 They also wanted to understand more from their current customers for future offers and campaigns. 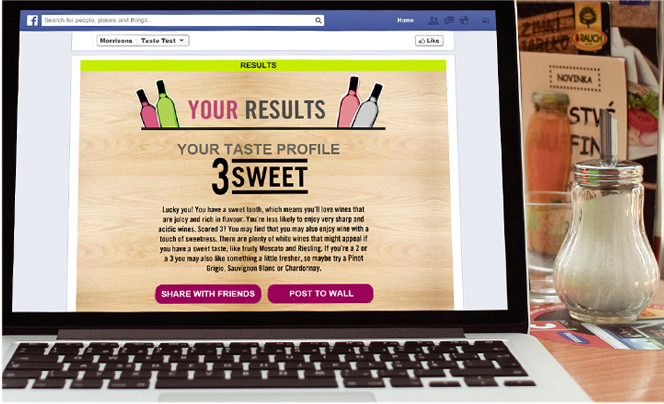 The Taste Test - three simple questions relating tastes and flavours - by using a sophisticated algorithm to define a flavour profile based on each person's individual taste preference from zero to 12 (grouped into sweet, fresh, smooth or intense). 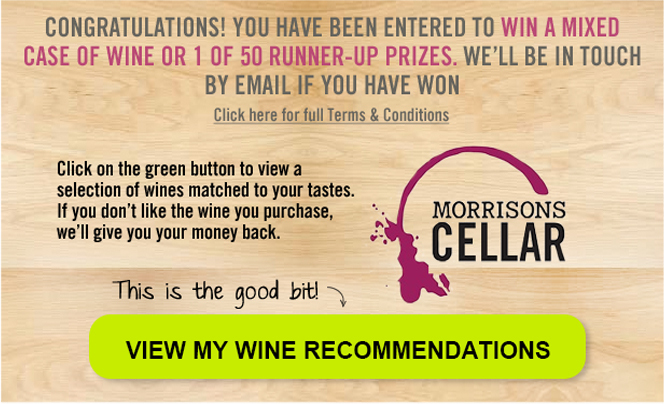 Every wine in the Morrisons portfolio is matched to a Taste Test profile number, encouraging people to try new wines, confident in the knowledge that they will enjoy them. 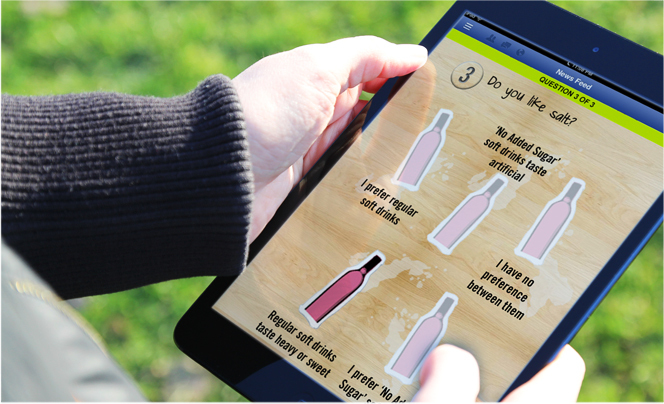 - The Taste Test app was named by ShortList as its “App of the Week” with 4,000+ consumers taking the Taste Test so far.